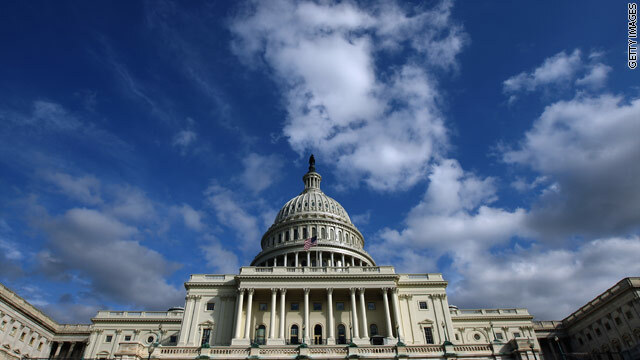 Washington (CNN) - Legislation introduced in the House Intelligence Committee on Wednesday is designed to knock down the barriers that interfere with the federal government and the private sector sharing critical information about cybersecurity threats. The bill would enable the intelligence community to share classified information with the private sector while at the same time addressing the concerns private companies have with providing information about attacks on their systems to the government. 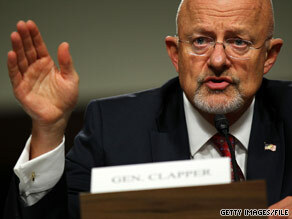 James Clapper was confirmed unanimously by the Senate Thursday night to be the nation's next intelligence chief. 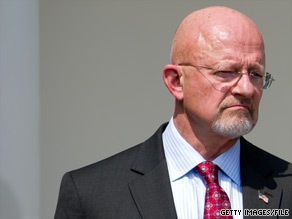 Washington (CNN) - James Clapper was confirmed unanimously by the Senate Thursday night to be the nation's next intelligence chief. Clapper, tapped by President Obama for the Director of National Intelligence job, will oversee the nation's 16 spy agencies. He will be the fourth person in the position since it was created five years ago. He succeeds Dennis Blair, who was pressured to resign because of differences with the White House over the scope of his role and turf battles with the CIA director. 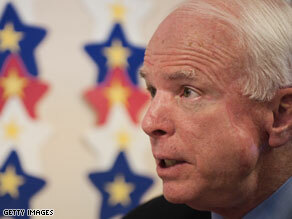 Sen. John McCain put a ‘hold’ on the confirmation of James Clapper to be the Director of National Intelligence. Washington (CNN) - Sen. John McCain said Monday he would lift a "hold" on the confirmation of James Clapper to be the Director of National Intelligence if he receives a report he's requested for the past 18 months. Brooke Buchanan, McCain's spokeswoman, had said earlier in the day that the Arizona Republican would hold up a Senate vote on Clapper because he never received the report. Later in the day, McCain said he received assurances he would get the report "tonight or tomorrow," and that once he gets it, he will lift his hold. McCain also said he was likely to vote for Clapper's confirmation. "As an ex officio member of the intelligence committee and senior Republican on the Senate Armed Services Committee, I expect when people look me in the eye and say, 'I'll get a report over to you,' that it comes over," McCain said. "That's what I really care about. Congressional oversight." The Senate Intelligence Committee will hold a confirmation hearing Tuesday afternoon for Gen. James Clapper. Washington (CNN) - The Senate Intelligence Committee will hold a confirmation hearing Tuesday afternoon for Gen. James Clapper, President Barack Obama's nominee for director of national intelligence. The Office of the Director of National Intelligence oversees 16 intelligence agencies. The post was created following the September 11, 2001, terrorist attacks. Committee Chairman Sen. Dianne Feinstein, D-California, had previously said she would not hold confirmation hearings for Clapper - currently the Defense Department's chief intelligence officer - until passage of a pending intelligence authorization bill. Washington (CNN) - The Sept. 11, 2001, attacks have created an intelligence community so large and unwieldy that it's unmanageable and inefficient - and no one knows how much it costs, according to a two-year-long investigation by the Washington Post. Ahead of the publication, many in the intelligence community worried that the stories would disclose too much information about contractors and the classified tasks they handle. The Post article that appeared in Monday's edition says its investigation uncovered "a Top Secret America hidden from public view and lacking in thorough oversight. After nine years of unprecedented spending and growth, the result is that the system put in place to keep the United States safe is so massive that its effectiveness is impossible to determine." The Post investigation found that "33 building complexes for top-secret intelligence work are under construction or have been built since September 2001," or the equivalent of nearly three Pentagons.